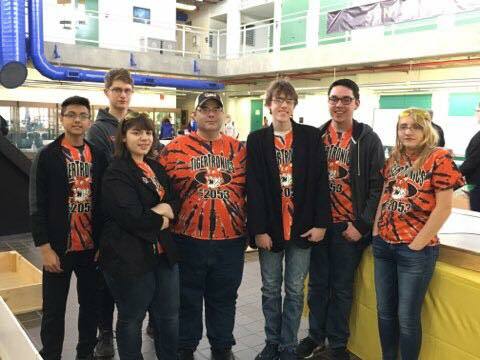 Recently six members of the Audrino Team (four from U-E and two from Vestal) of the UEHS/VHS TigerTronics team competed at the Southern Tier Robotics competition. 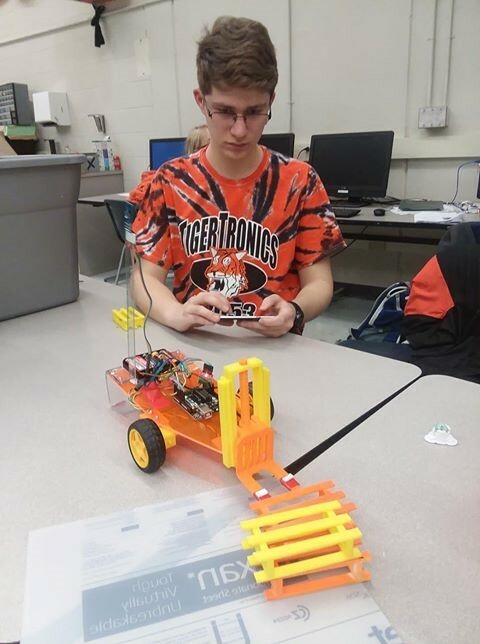 The Audrino team is a solid entry point for TigerTronics, as they are learning the valuable skills needed to build the larger robot in the annual FIRST Challenge. While the team did not place against some more experienced teams, it was a great learning experience for them as they begin to understand the strategies and thoughts needed to quickly solve challenges that arise during a robotics competition. Since not every team member can work on the larger robot at the same time, the Audrino Team helps students build skills and gain experience in different aspects of robotics, and in turn, they get to do more with the bigger robot. Students also share their experiences at STEM events with elementary students to get them interested in being a TigerTronics team member.